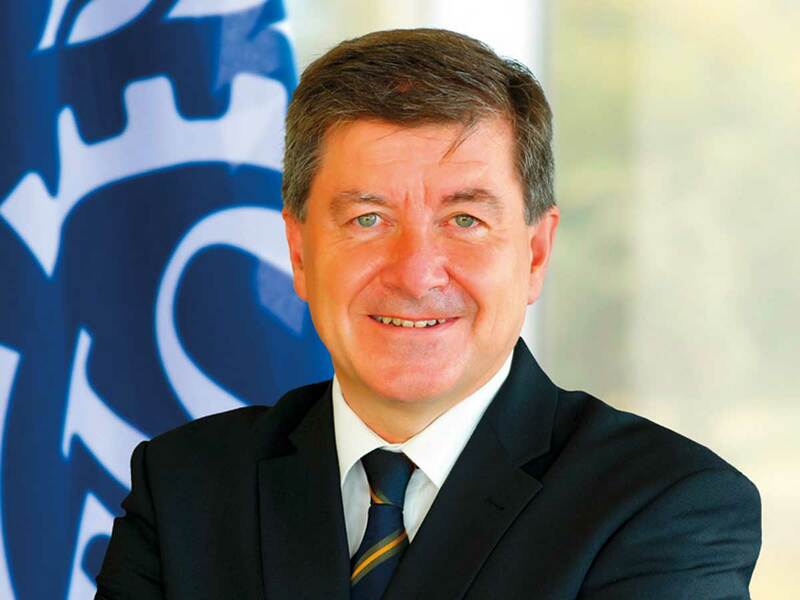 Dubai: Guy Rider, Director-General of International Labour Organisaion (ILO) has commended the UAE’s efforts in fighting human trafficking. Speaking to the Emirates News Agency (WAM) on the sidelines of the 7th World Government Summit, which started Sunday in Dubai, Rider said the ILO shares the UAE successes in fighting human trafficking and regulating labour market with other countries. “ILO appreciates UAE efforts in strengthening the labour inspection system. We have 25 million people globally who continue to be victims of forced labour. It is crucial to give a new impetus to the fight against human trafficking and forced labour,” he said. He added: “We have a very positive evaluation of the measures taken by the UAE to fight human trafficking. The UAE has a very special labour market; a very large number of expat workers. “The UAE is a role model for making positive efforts in this respect. If we are not regulating employment procedures effectively, these people can be vulnerable,” he further said. “We need partnerships between sending and receiving countries to make sure we have a sound and safe system of recruitment and employment. In addition, I am very pleased that UAE is taking on this responsibility actively and responsibly. When we see successful stories in a country like the UAE, we like to share it with others in order to be able to tackle this international problem globally. “I hope UAE will continue its efforts in this regard and I am sure it will continue. We have worked with the UAE government to help strengthen a labour inspection process to ensure safe working conditions and we have a positive evaluation of UAE efforts,” he concluded.